Thailand is always top of my travel wish list: it ticks every box for any sort of getaway with its incredible beaches, varied activities, delicious food and lovely local people. 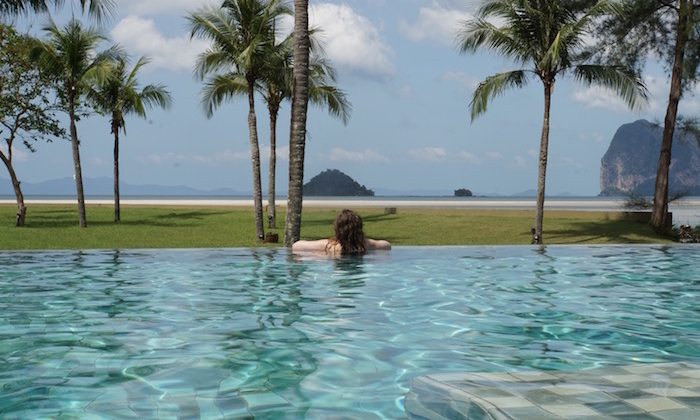 On a recent trip to Krabi, I headed further south and off the beaten track to discover the Anantara Si Kao Resort. Admittedly, I was a little hesitant to venture away from my favourite spots on Railay Beach but, after four days of utterly blissful relaxation, I was won over by this serene hideaway – ideal for couples or families – in the mood for total tranquility. Situated on the coastline of Trang, this retreat stands alone on 15km of pristine beach – perfect for a morning jog or afternoon strolls to burn off those holiday treats! The hotel is surrounded by lush greenery, enhancing the ethereal elements of the resort and setting it apart from the thronged tourist traps of Thailand. The hotel holds 140 rooms and suites – for something extra special, you can splurge on a pool suite, complete with a private terrace and infinity pool. While the property does look a little tired in places, we thoroughly enjoyed our stay in a sea-facing room which was large, clean and comfortable – complete with a small balcony for evening sundowners. Most notably, the staff were so pleasant and helpful and truly cared about the individual experience of each guest. I really appreciated the extra touches of afternoon deliveries of Thai sweets and handwritten notes from the Housekeeping Team, as well as a full pillow menu to ensure a sound night’s sleep. 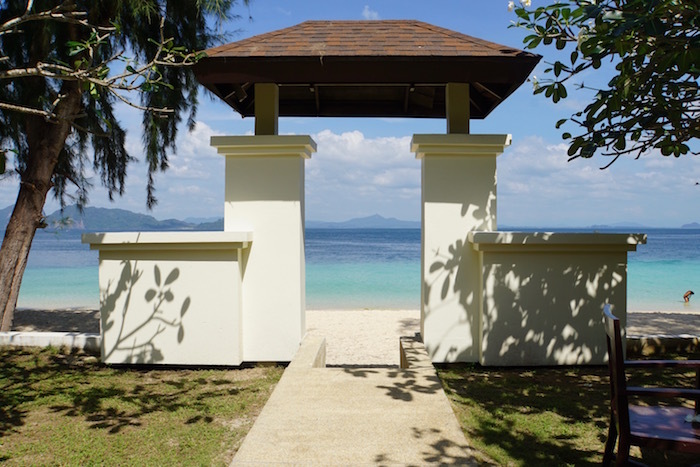 I think – with just a few minor tweaks – the Anantara Si Kao could be a supremely luxurious resort and I look forward to seeing it’s development over the next couple of years. There are plenty of Thai and western options available at the resort’s two restaurants and pool bars. Every morning started at the Anantara Si Kao with an enormous buffet breakfast; brimming with an extensive assortment of pastries, cooked food, juices, teas and coffees. The hotel accommodated dietary requirements well and catered for all sorts of tastes and restrictions, offering both healthy and indulgent options. For lunch and dinner, my absolute favourite foodie find was The Beach House restaurant which served up authentic Thai fare – the beef Masaman curry and fresh fish were absolutely outstanding. For a more romantic affair, we headed upstairs to sample the Italian fine dining offerings at Acqua, perched stunningly on the terrace of the hotel, overlooking the water. The Tom Yum Risotto is a must-try, trust me! The resort is over an hour’s drive from Krabi airport and is quite isolated. However, there were plenty of activities and excursions on offer that kept us entertained. Guests can avail of complimentary yoga, Thai boxing, water aerobics, basketball and tennis facilities and a kid’s club. For something slightly less strenuous, you can relax in the spa or, lounge by one of the two pools on site. There is a separate shaded pool for children under 12 which is a fantastic option for families and leaves the other pool peaceful for couples and singles. There is a daily boat shuttle to the Anantara Si Koa’s private beach club, built on the powdery white sands of Koh Kraden, just about 20 minutes away from the mainland. Koh Kraden is total tropical island paradise and we spent the day snorkelling and swimming in balmy waters before a long, leisurely lunch. 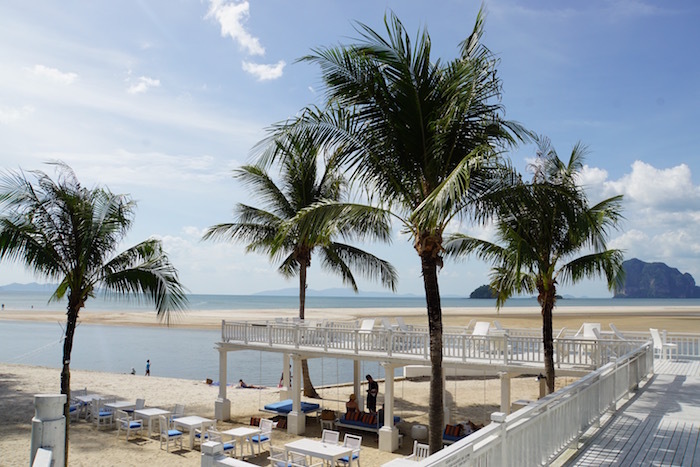 The hotel provided a huge range of excursions to Trang town to sample local dim sum and to various outlying islands and caves, as well as cooking classes and entertainment options. We also took kayaks into the nearby mangroves and paddled around for hours in search of the wonderful wildlife that inhabits the area. The Anantara Si Kao is certainly not Party Central but, it’s not trying to be. If you’re in the mood to escape the madness and switch off for a couple of days – cocktail in hand – this is a stellar option. For the stunning surroundings, super service and wealth of facilities, the rates are reasonable, in my opinion. The location would also be a fantastic space to host a team building event or off site, and the hotel regularly caters for such corporate events. With the short, direct flight from HK to Krabi, it’s easier than ever to explore the hidden gem of The Andaman Sea. Room rates vary according to seasonal demand but presently, a standard deluxe double including breakfast will set you back approximately $1400 per room, per night. There are numerous deals available on the hotel’s website too. Original article appeared on Sassy Hong Kong. All images courtesy of Taking Hong Kong.